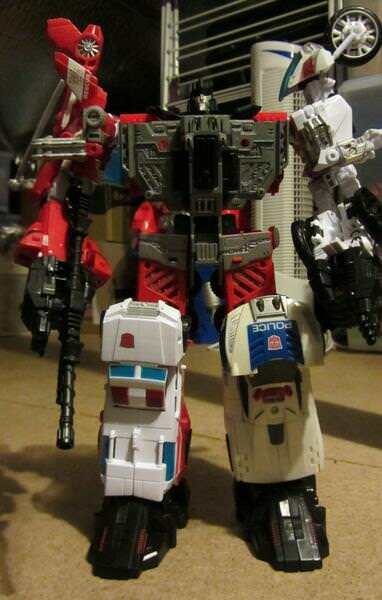 Sentinel Prime: Indeed I am! 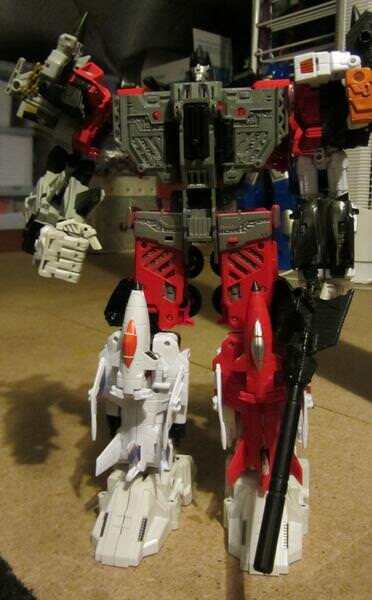 (transforming noise) What you must realize my Autobot brothers, is we were never going to win the war! 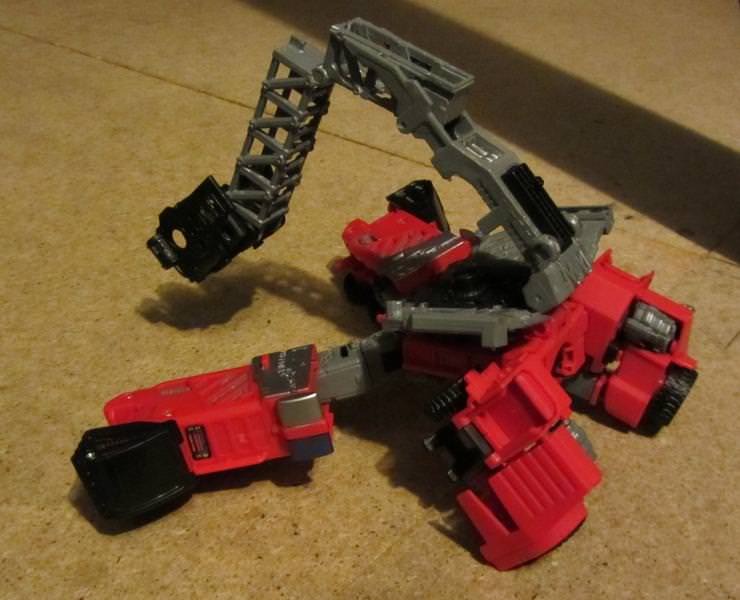 Ironhide: [rusting away] Sentinel... what have you done? 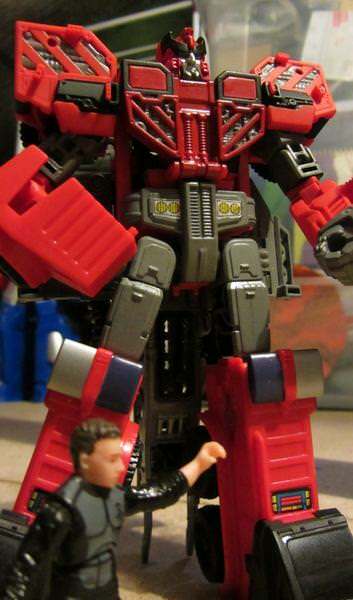 Sentinel Prime: [to Ironhide] I hereby discharge you from duty! 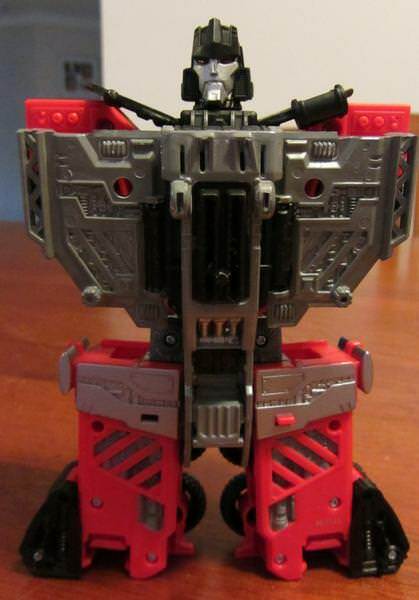 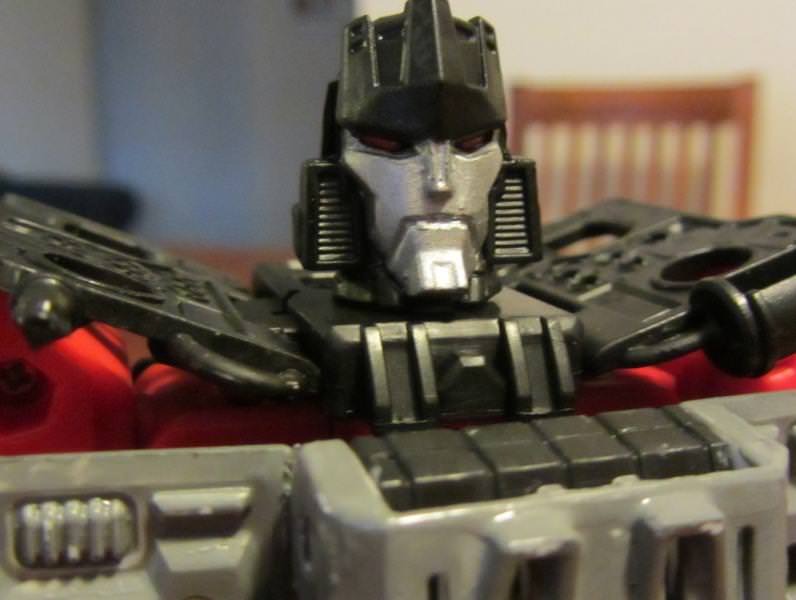 The gestalt head is a FoC Ruination head with the antenna removed. 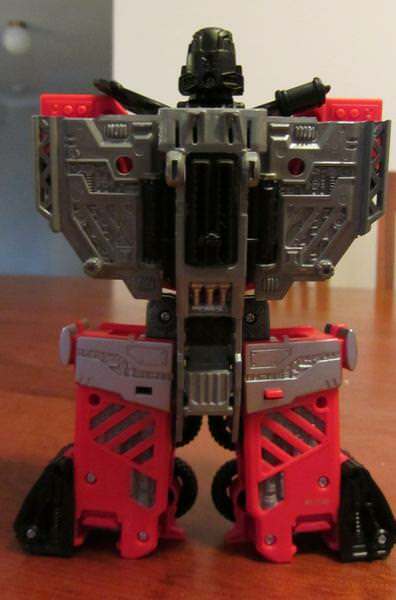 Does the combined form have a name or is it still Sentinel? 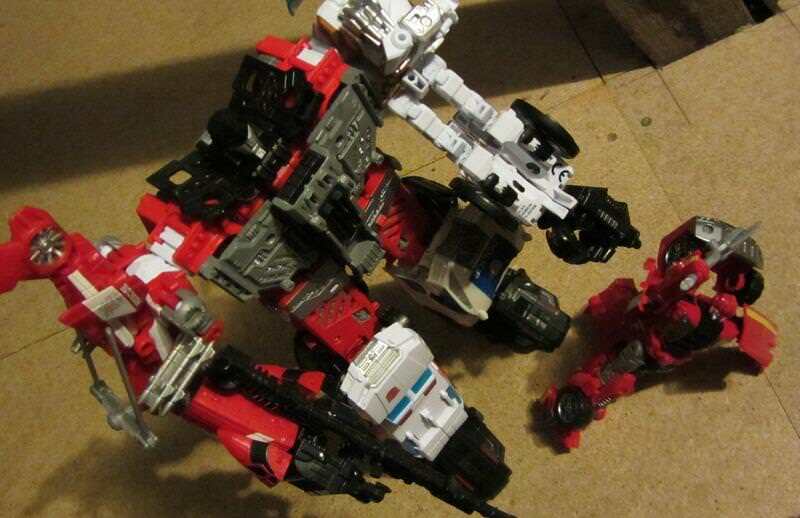 To be honest I haven’t thought about it - Sentron?